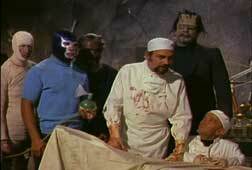 After the necessary tag-team introduction, the film proper begins with the “funeral” of the presumably mad scientist Dr Halder. 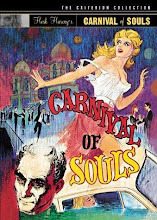 It's more of an exhumation, as his coffin is hauled back to his castle by a mourning squad of zombie criminals, under the direction of a hunchbacked dwarf in a bowler hat with bald head and bad teeth (luckily for him, the dwarf Waldo has retained his sense of humour). 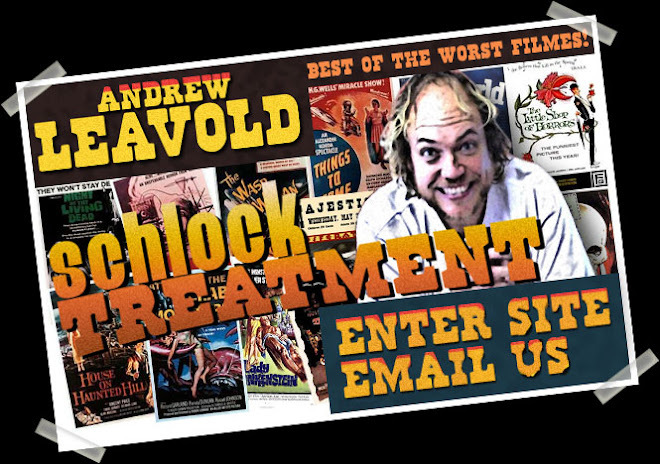 Halder's request for his body not to be mutilated pays off, and he is brought back to life by his own machine in the castle's laboratory by gleeful lever-jockey Waldo. 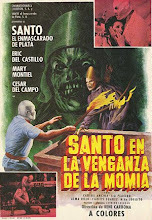 The vinegar-filled Halder has plans to revenge his brother and niece Gloria, for reasons lost to the sands of Time, AND to seek vengeance against his sworn enemy Santo, who just happens to be dating the niece. 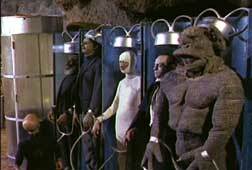 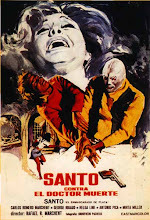 Halder initially kidnaps Blue Demon and clones him as a robotic assassin to use against Santo, with expected results. 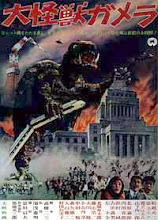 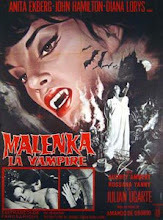 Undaunted, he then resurrects a small army of horror icons Halder picked up in his travels through Transylvania: the Vampire, the Mummy, the Wolfman, and The Cyclops, a scaly one eyed amphibian from Sotomayor Pictures' own 1960 picture Ship Of Monsters. 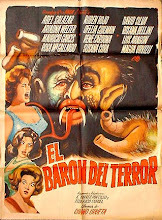 Add a pair of vampirized chiquitas and the menagerie is almost complete; oh, and keep your lychees peeled during the laboratory scenes for an unidentified “observer”, also a leftover from Ship Of Monsters, who looks like an angry tiki mug with a brain sombrero. 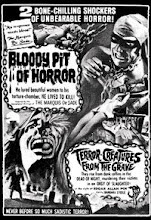 And so Halder's Chamber of Horrors is unleashed upon the countryside, several times recycling the same introductory footage. 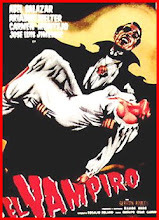 The Vampire is less Bela Lugosi and more German Robles as “El Vampiro”, in a pale imitation of Mexico's own horror icon from late Fifties. 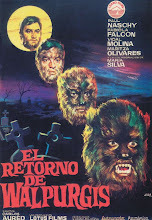 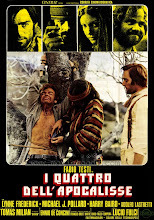 Frankenstein is more ludicrous than ever thanks to his Fu Manchu facial hair, and as for the Wolfman – well, let's just say the miserably inadequate day-for-night footage makes both El Vampiro and the Wolfman's full-moon antics completely redundant. 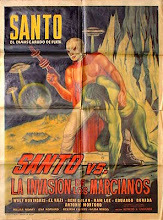 If this Santo film looks slightly more cheap and tacky than his usual offerings, send a letter of complaint to Sotomayor Pictures. 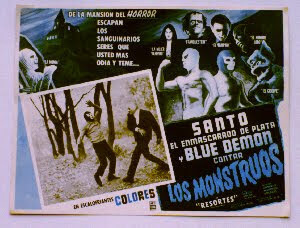 Both Santo and Blue Demon were on loan to the rival company for a number of films, and so ditched their usual creative team of craftsmen for Gilberto Martinez-Solares, who also directed them in Santo And Blue Demon In The Land Of The Dead. 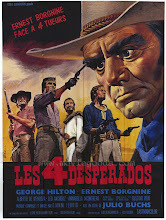 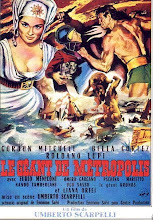 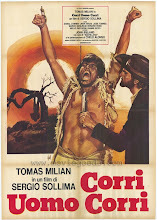 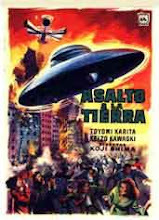 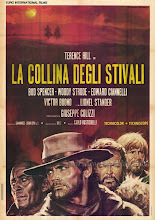 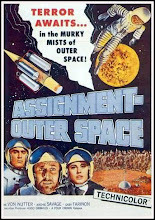 Now, Martinez-Solares was no slouch at directing, but even he must have had a Percodan slipped into his Corona. 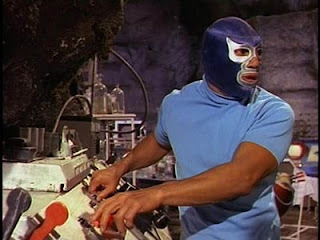 Did he notice in the restaurant scene, for instance, that the musical number is taking place on a stage FOUR TIMES the size of the entire restaurant? 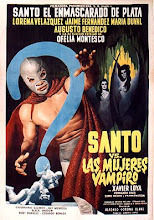 Even the wrestling scenes – obligatory set-pieces in Santo films, and pretty much their raison d'etre – are strangely over-lit and under-attended. 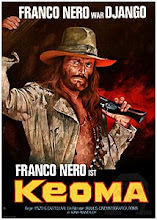 Yes, it's a sloppy production, and one can sense a growing desperation on the producer's part to keep its audience entertained by topping previous outings. 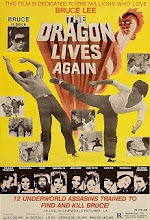 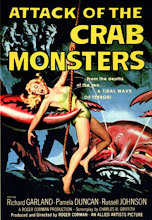 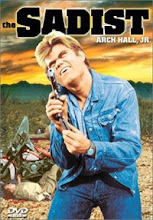 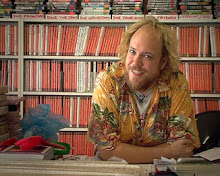 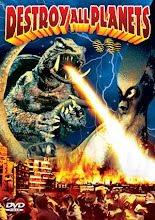 The film purports to be a sequel and constantly refers to a previous episode, and yet there IS original; the effect is like being thrown into the deep end of a swamp and wondering “who ARE these creatures, and why do they want to kill me?” The thought is then replaced with a screaming case of deja-vu. 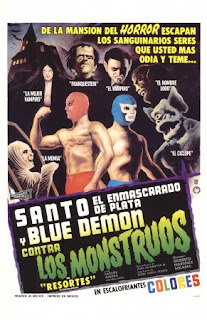 Santo and Blue Demon complement each other well, even if Blue Demon spends most of the film trying to tear his friend's head off; but their partnership was becoming increasingly part of a cookie-cutter formula of multiple wrestlers battling pre-branded “monstruos”. The trade-off is quantity over quality, and Santo And Blue Demon vs The Monsters is almost bursting its stitches with ideas, both good and awful. 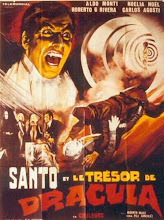 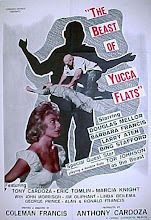 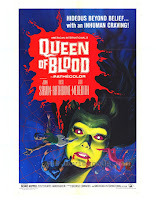 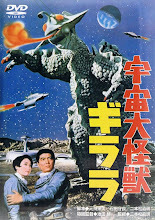 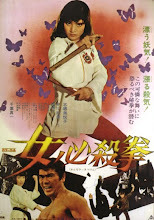 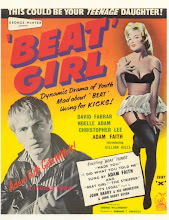 On the plus side it's punchier than Santo's ring buddies, zips along at an unnatural pace, and for a film aimed at twelve year olds of all ages, surprisingly bloody – there are some graphic shots of a young man's face being crushed under Frankenstein's giant boot, and the vampire girls are dispatched with a steady flow of the red, red vino. 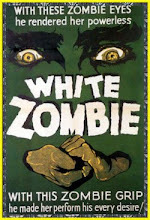 The switch to colour in the late Sixties wasn't all wine and rosaries, however, and in the faces of Walder's zombies you can see where the green paint finishes. 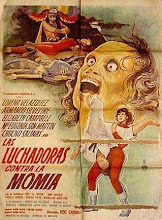 Keen-eyed Schlock watchers please note: Frankenstein is played by stuntman Manuel Leal, later in wrestling tights as Tinieblas, and our lovable hunchbacked dwarf, one of the busiest Little Guys in Mexican cinema named Santanon, is the guy in the plushy suit in Puss In Boots (1961) in three weeks' time. Til then: hola hola rock y rolla, Santo y Blue Demon Contra Los Monstruos!